The whole structure of your business on the screen! 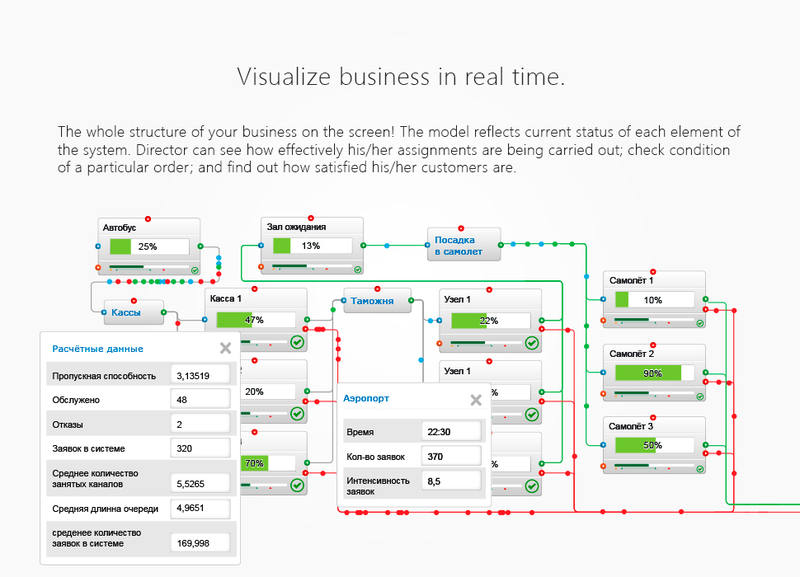 Visualize business in real time. Models as a construction set! 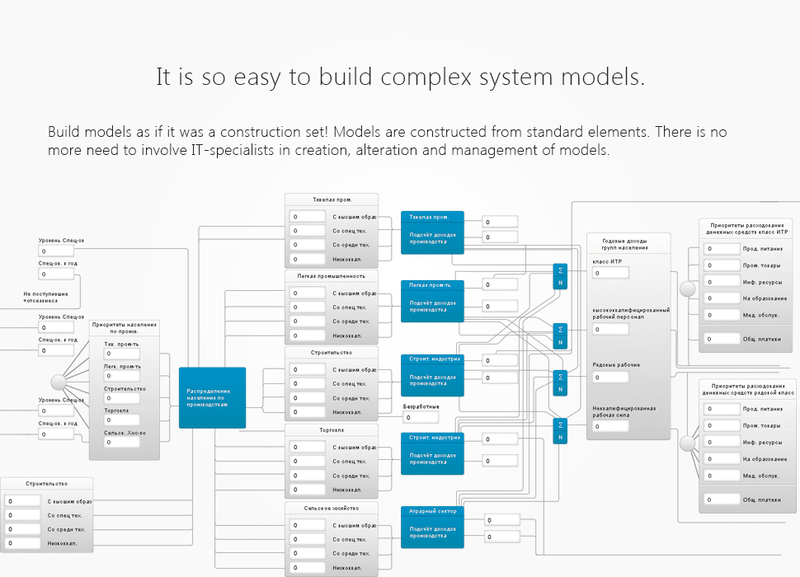 It is so easy to build complex system models. Diagrams and figures are becoming “alive”! 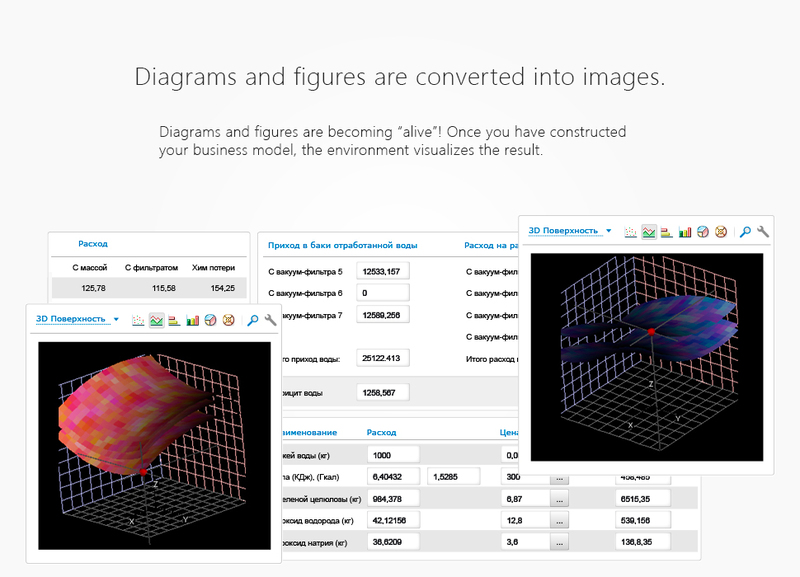 Diagrams and figures are converted into images. Protect your business from the uncertainty! 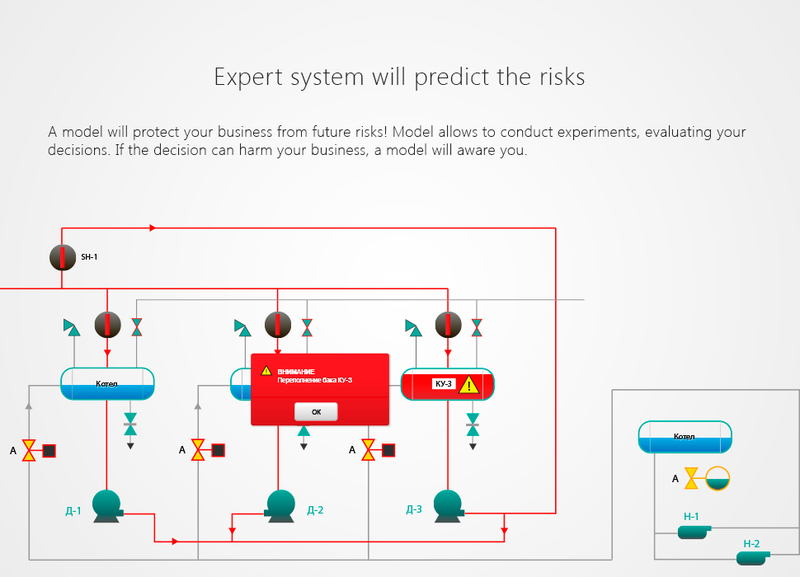 The expert system will warn you of risks. 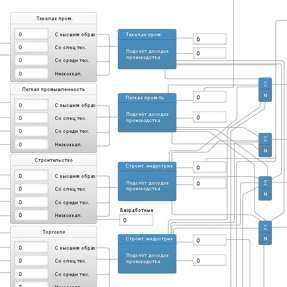 Automated Data Processing System and Functional Target Model of Administrative and Organizational Structure Management. 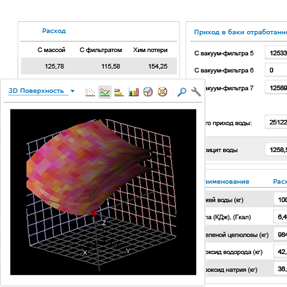 This technology allows end users (experts, top management, production staff) in industry, banking, economics and business to conduct all possible computer experiments on any complex system and, by predicting its properties and future behaviour, anticipate management results. 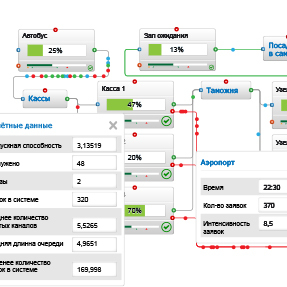 Technology of production systems visual design and rapid simulation of real-life situations helps to choose the best solution possible and optimize the production process, which distinguishes this technology from classical automated data management systems and databases. 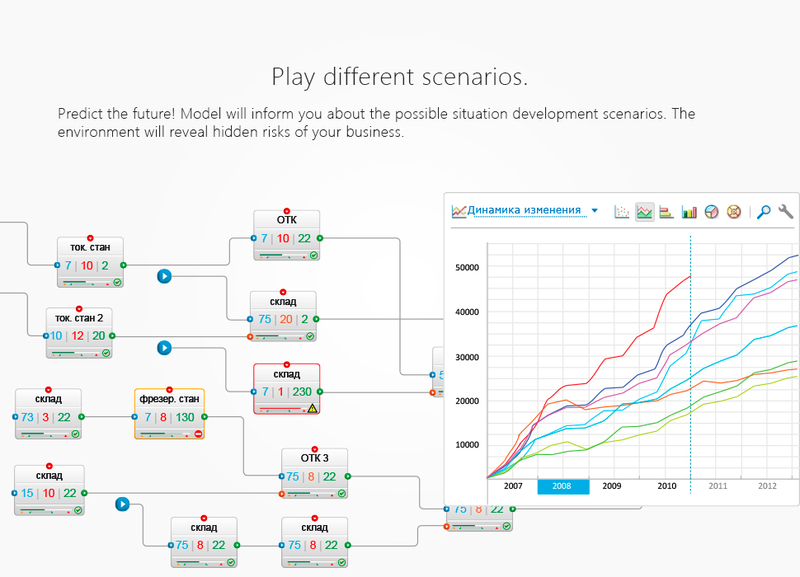 Enterprise, holding and industry level executives get a convenient, visual and flexible decision testing tool, can structure their target activities and track implementation of plans. The innovation of this technology is that a user constructs new systems out of ready elements on a basis of functional target management models without any restrictions, by using an elements constructor. 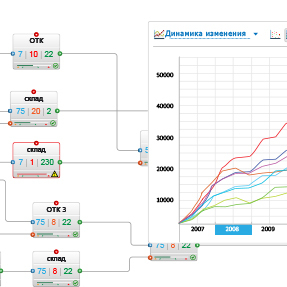 So in 2005-2010 on the basis of this technology we developed and successfully implemented unique Automated Data Processing System (ADPS) and Functional Target Model of Administrative and Organizational Structure Management (FTMM). ADPS is designed for technical maintenance of process pipes, including high-pressure pipelines, preventing dangerous situations on pipelines during their operation. ADPS’s functionality makes it applicable to different conduit systems. ADPS allows to form pipelines nameplate data for a user enterprise, test them for compliance with technical standards, provide network access to any element of the system database on user's request, calculate residual life of pipelines and perform emergency-behaviour staff training. 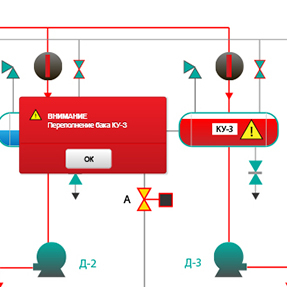 An integral part of ADPS is the graphics subsystem for creating and editing pipelines isometric schemes. FTMM is a unique interactive software solution designed to organize and display graphically goals and objectives of any administrative and organizational structure activity, including the RF Presidential Administration, region governors and other constitutional territories. FTMM offers an opportunity to familiarize the general public with the goals and objectives of the administrative and organizational structure management bodies, as well as to monitor progress towards their achievement over time by means of modern technologies of access to information resources of a complex structure.